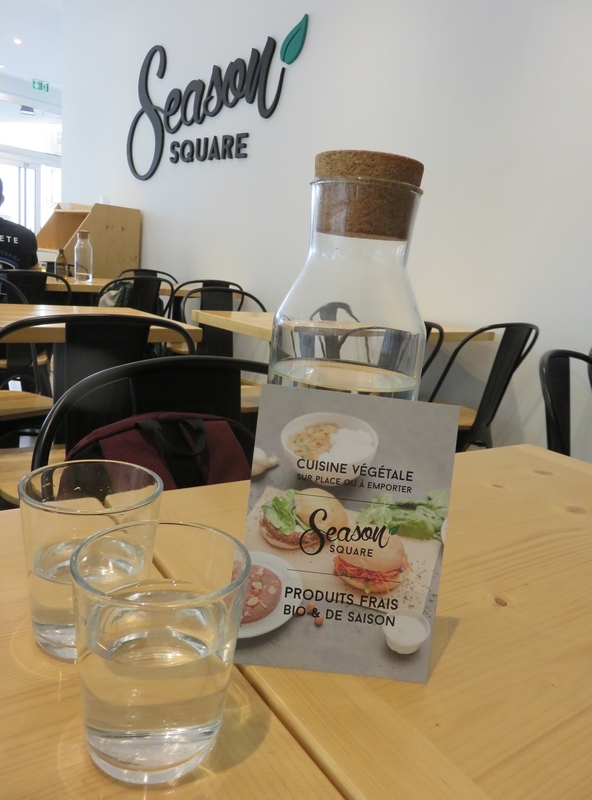 restaurant review #143 – Season Square is a vegan fast food restaurant in Paris. 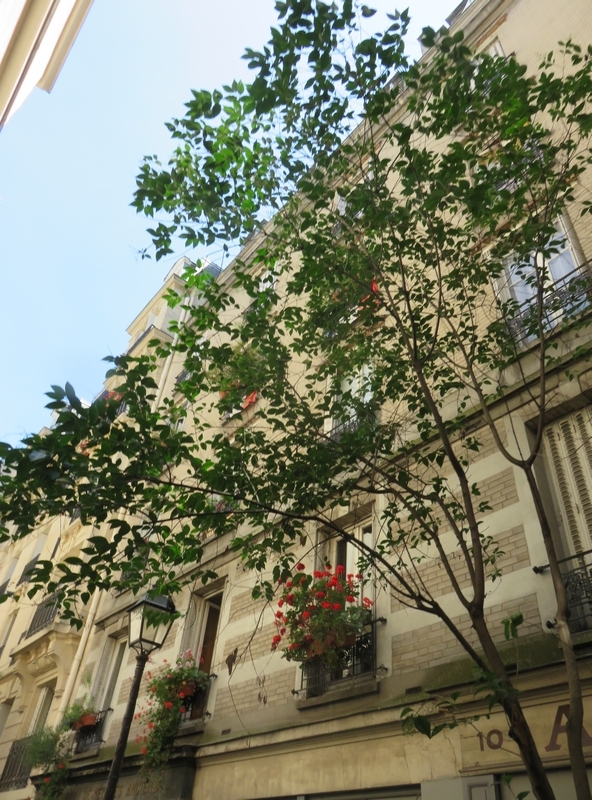 It’s on the east side of town, just next to the Bibliothèque Nationale (the National Library) and the Seine, on the other side of the Parc de Bercy. 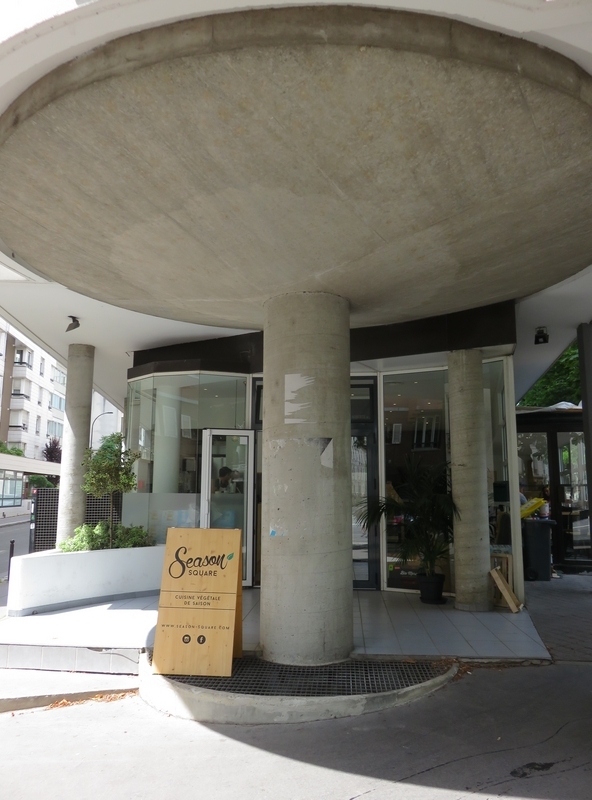 As such, it is a bit outside of the touristic center, and there are not many restaurants in the area. 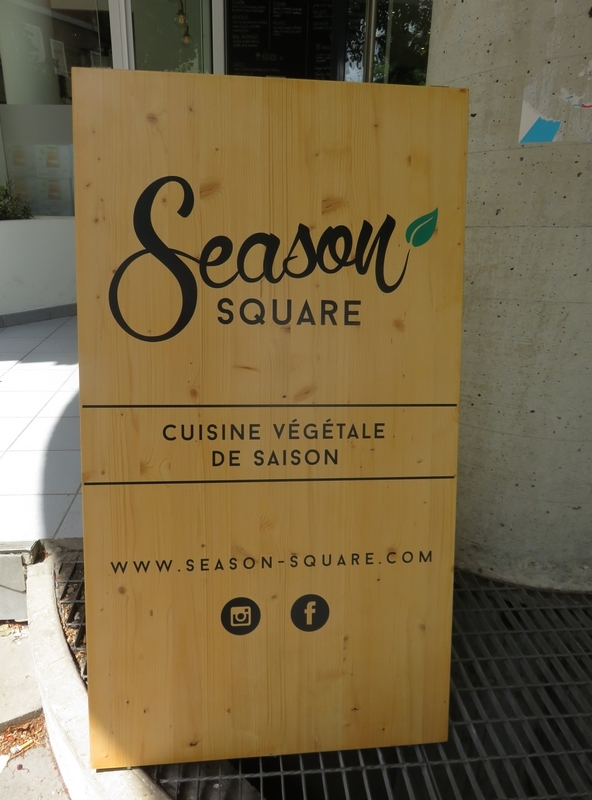 As we were in Paris for a concert at the Bercy (now called Accor Arena) and stayed not too far away, Season Square was our first stop, for lunch. 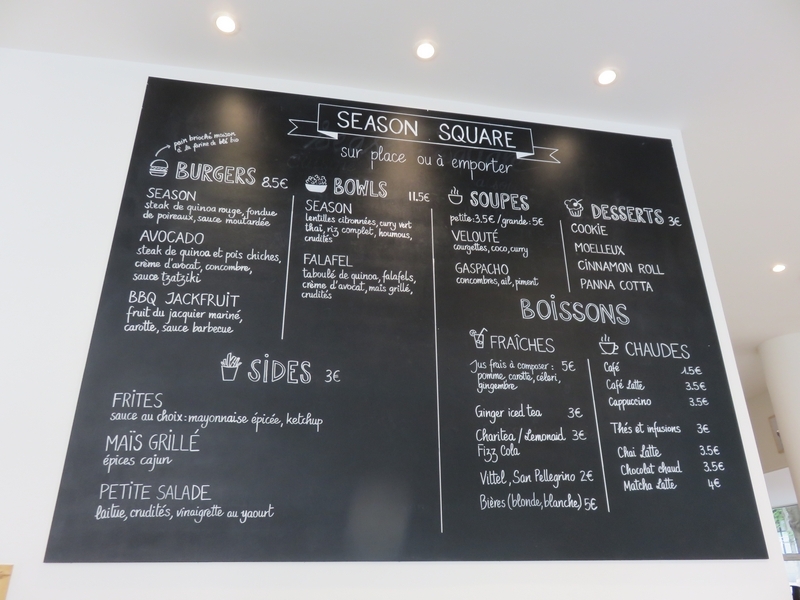 Season Square is a bright, modern place, and serves burgers, bowls, soups and some desserts. They also offer take away. 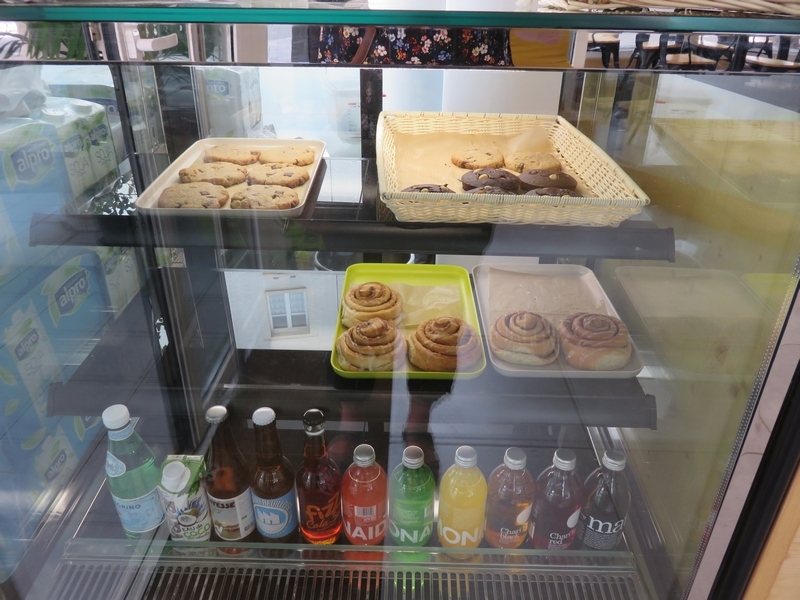 It is self-service (one orders at counter, take an alarm device with you to your table which beeps when your order is ready, and you can go pick up your order at the counter). There was no white wine available (they did have small bottles of red wine). There was free tap water avilable in bottles at a seperate counter (where the knives and forkes are), which was very welcoming, as it were a hot couple of days in Paris (more than 35°C). Next to the tap water, we ordered a ginger ice tea (3€) and a fresh juice (5€). I did not take long before our order was ready. 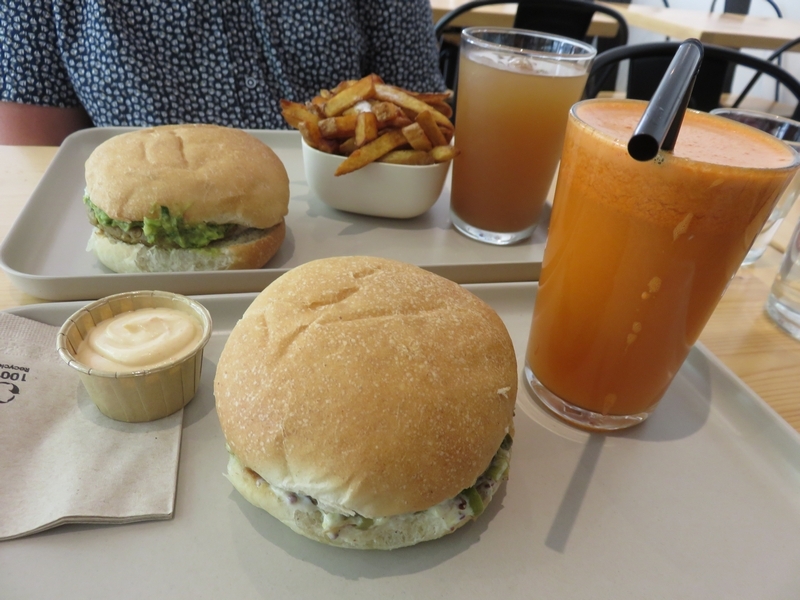 We had an avocado burger en a Season Burger (each 8,50€) and a portion of fries on the side and sauce (3€). The burgers were more ‘patties’ than real burgers, but tasted very good though. Definitely good value for money (total for our lunch 28€). 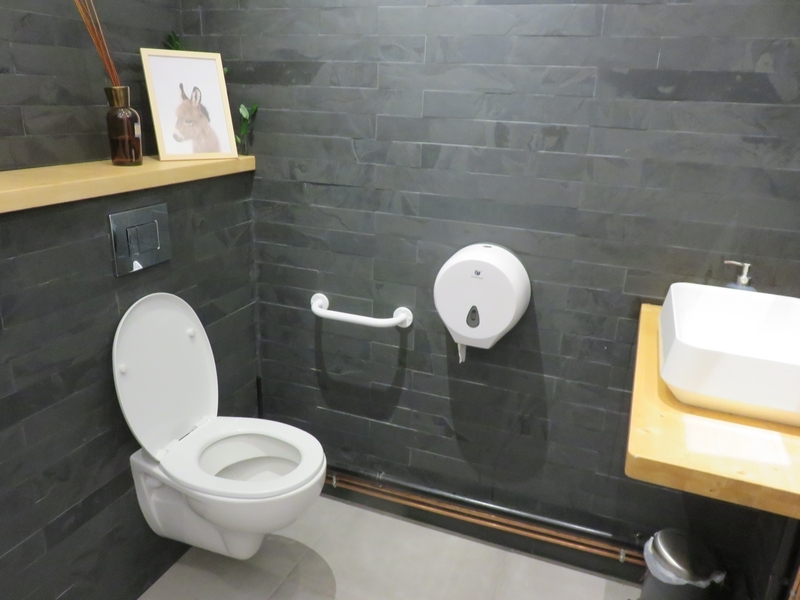 Toilet was spacious and accessible (although the restaurant itself was not – stairs to get in, which seemed odd). 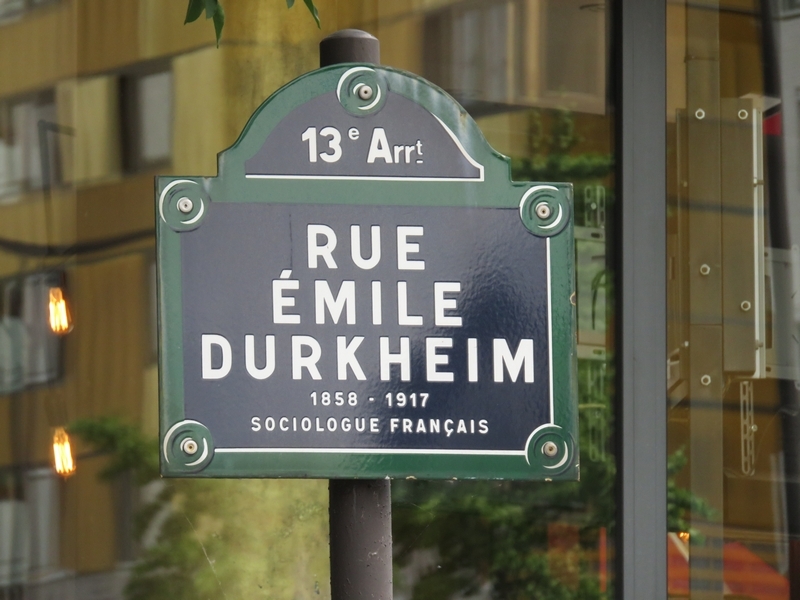 We had a nice lunch, at a very reasonably (especially considering this is in Paris!) price. Nice place! Next PostFancy homemade dinner for World Vegan Day!